Update/TL;DR: There appears to be a great deal of fraud with DoTERRA that has gotten the FDA’s attention. In addition, the FTC warns MLMs with overpriced products may be a pyramid scheme. You can pay ~$68 for 1.5 ounces (45ml) of DoTERRA lavender oil or spend the same amount for 16 ounces of NOW Lavender Oil. The NOW Lavender product is extremely well-reviewed showing that it is quality product and not a cheap knock-off. Your money goes more than 10x further with the non-MLM/pyramid scheme version. For a few years now people have asked me about doTERRA essential oils. The first was Candace who was a major contributor in the 6000+ comments of my MonaVie article. That was back in March of 2012. A few months after that someone by the name of Laura emailed me about the company. In the last few months, I’ve received a couple more emails about essential oils from close friends who follow the blog. One was LisaRob a frequent commenter on my old LifeVantage Protandim article. Another was one of my favorite personal finance bloggers who sent me an email with the subject “The Wife got ripped off”. It turns out that in both these case, they were talking about Young Living’s essential oils and not doTERRA’s. With apologies to those asking about Young Living, I’ll focus on doTERRA today and leave Young Living for sometime in the future. If you are interested in Young Living, I suggest reading this anyway, it’s most likely the same think. It will be like learning about baseball by watching the Yankees instead of the Red Sox. They are different teams, but the game is still the same. Let’s dig into doTERRA, shall we. When Candace emailed me back in 2012, it was to tell me that she was recently made aware of this company and their products. In her research she found that doTERRA was claiming that their products were certified as therapeutic grade by the FDA and that they show a seal with registered trademark CPTG (Certified Pure Therapeutic Grade) as proof. It’s brilliantly covered in this article that the CPTG trademark is one that doTERRA created and has nothing to do with the FDA at all. Q:	doTERRA’s essential oils are trademarked as “CPTG Certified Pure Therapeutic Grade™”. What does this term mean, and what evidence is there to prove the efficacy and purity of your oils? A:	doTERRA’s essential oils are trademarked and registered with the United States Patent and Trademark Office as CPTG Certified Pure Therapeutic Grade™. This term means that our essential oils will always maintain the highest quality standard in therapeutic grade essential oils for purity and efficacy. It seems that over the years, they’ve switched the “certification” from the FDA to the US Patent and Trademark Office (USPTO). However, the USPTO isn’t in the business of doing certification of essential oils… just like they aren’t in the business of determining who is the best blogger. McDonalds has trademarked the “I’m Loving It” slogan, but it doesn’t mean that everyone actually loves McDonalds. BMW has trademarked “The Ultimate Driving Experience”, but it doesn’t mean that the USPTO has declared the BMW’s driving experience to be beyond all others. The trademarked term of CPTG (Certified Pure Therapeutic Grade) is simply their marketing slogan designed to confuse consumers into thinking that is has been certified and that therapeutic grade essential oils exist. They don’t. This is really all I need to know to form the opinion that the company a scam. 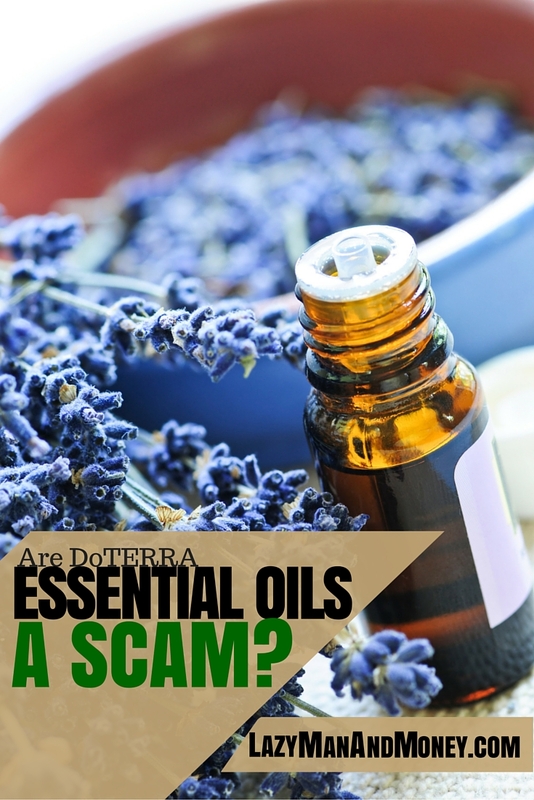 The definition of scam is a “confidence trick.” This appears to be confidence trick by doTERRA in creating and using a marketing term with the word “certified” in it, when it hasn’t been certified by anyone and “therapeutic grade”, when the FDA hasn’t approved it as being therapy for anything. I really shouldn’t go further, but there’s another reason why I wrote this article. I noticed that a blog I sometimes read called Pick the Brain published an article of: 3 Health Issues to Mitigate Using Essential Oils. That title clued me in right away. This was another MLM with distributors illegally claiming that their dietary supplement can help with medical conditions without the FDA’s approval. Sure enough, if you look at the author’s (Heather Koenig’s) bio at the bottom and go to her website (EssentialOilsUS.com), she is a doTerra salesperson. You are looking at a cleverly designed advertisement. If a product can help with a condition, it can be certified with the FDA just like calcium and vitamin D are for bone health. Alas, it doesn’t look like doTERRA has gone through the process which tells me they believe in their product to prove the claims. The article on Pick the Brain was almost comical. The author suggested that essential oils can help with weight loss, but gave no reason why. There was no research presented. It was simply stated to be an alternative to popping pills. Well, carrying my lucky rabbit’s foot in my pocket is an alternative too… it’s just not a good one. There’s no scientific basis behind it… just like essential oils. The rest of the weight loss section was filler. There was no information about essential oils and their efficacy. Instead it was about it taking patience and endurance to lose weight. Maybe the author should have written an article about that instead of essential oils. Unfortunately, it only goes downhill from there as the author suggests that people treat mental conditions with essential oils. That’s the kind of advice that could lead to suicide… very irresponsible. The clincher (do we need any more evidence?) is this article on Science-based Medicine on doTERRA. Dr. Harriet Hall covers in detail how the claims made on the website are vague… vague enough to not get them in trouble with FDA. However, the claims are also specific enough to lead distributors to make illegal health claims. For example, “supporting a healthy insulin response” is likely to be stretched to “helps treat diabetes!” In fact, here is a website making that claim. This leads to doTERRA’s message. 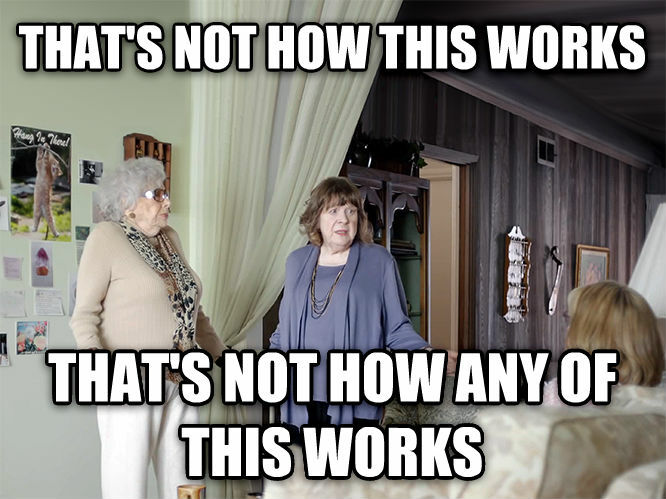 They explicitly say on their website, “This product is not intended to diagnose, treat, cure, or prevent disease.” Their salesforce explicitly pitches the products to treat diseases. In fact it is so insane that the FDA sent warning letters to both DoTERRA Essential Oils and Young Living Essential Oils on the same day: September 22, 2014. As a side note, Dr. Harriet Hall’s article refers to the Young Living’s Essential Oils with information about its founder, Gary Young, and accounts of his fraud and extensive arrest record including how he “contributed to the death of his own child by performing an underwater delivery and holding the newborn infant underwater for an hour.” Once again, we’ll save that for a future article on Young Living if we get around to it (I have to be honest, it took me more than 2 years to get to this article). It looks like doTERRA is one of the many MLM companies where they lead distributors to make illegal health claims. Once again we can apply the logic and science that shows No, the MLM Health Product Does Not Work. I invite doTERRA to prove me and Dr. Harriet Hall wrong by getting the products approved by the FDA for conditions like calcium and vitamin D are for bone health. People in the comments have criticized me for not trying the products. This is very flawed logic in health products for the reasons I cite this in this article. (There’s no point in rewriting all the logic here.) This Christmas I got this ZAQ Noor Essential Oil Diffuser and this NOW Foods Essential Oils 10-Oil Variety Pack Sampler – 1oz Each. I’ve tried them and they smell great and work just like the ZAQ diffuser company suggests. A few drops go a long, long way and each 1 oz bottle should last for 150 uses (20 drops is equal to 1ml… there are 30mls in an ounce… so the 600 drops equals 150 total 4-drop uses.) At $50 for the 10 bottles, I paid $5 an ounce for the 100% pure, well-reviewed NOW products that work great (yes I’m stressing the quality, because it is a quality product). It makes no sense to spend 5x more for 1/2 the product (15mls or a 1/2 ounce) for the DoTerra label. As a consumer advocate, I have to say that your money is best spent buying what you want individual from cheaper vendors where you get 10 times more product for your dollar.